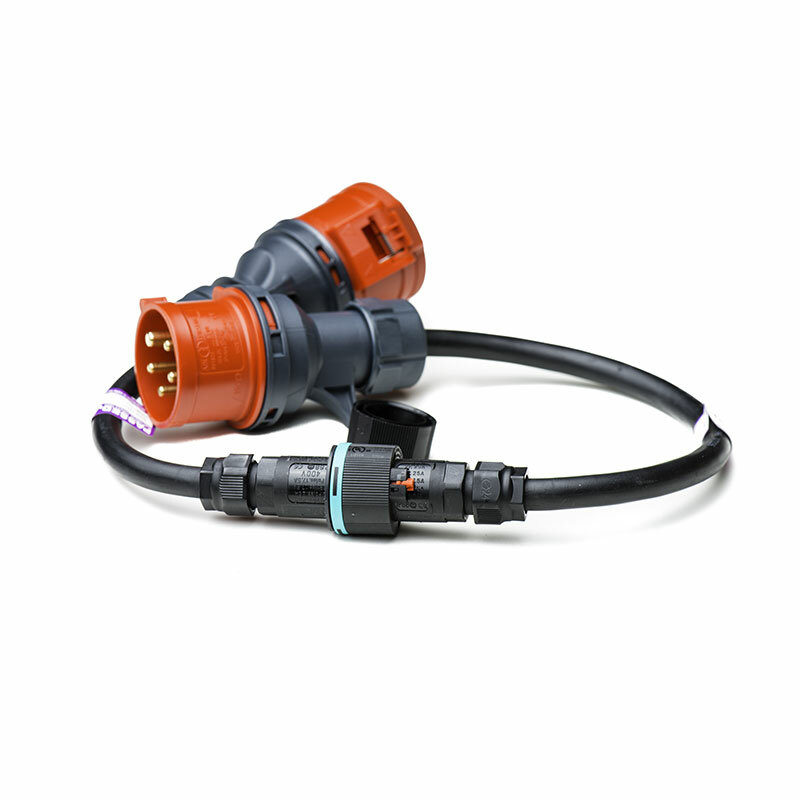 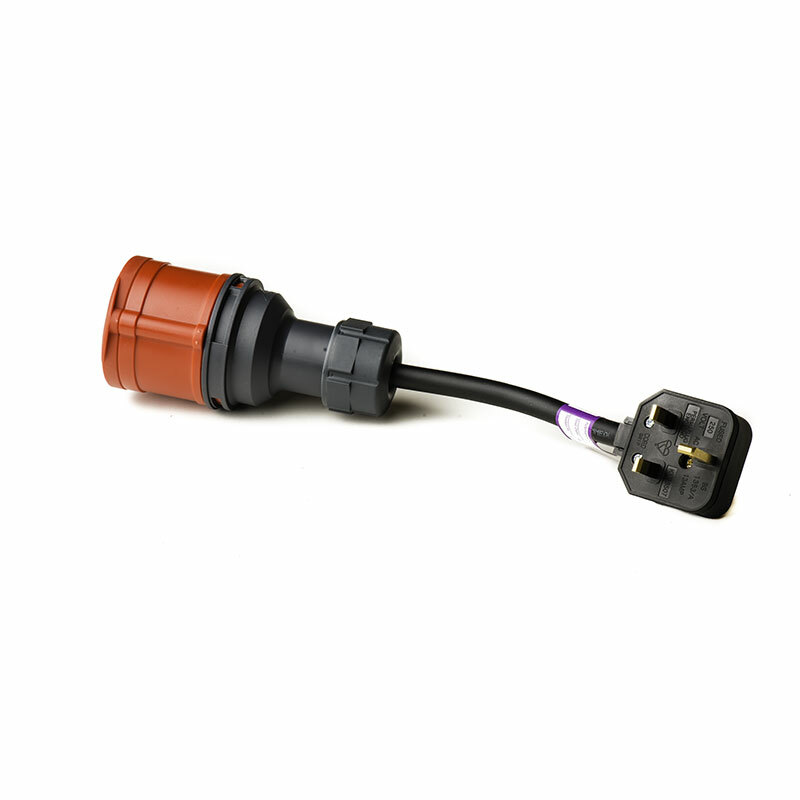 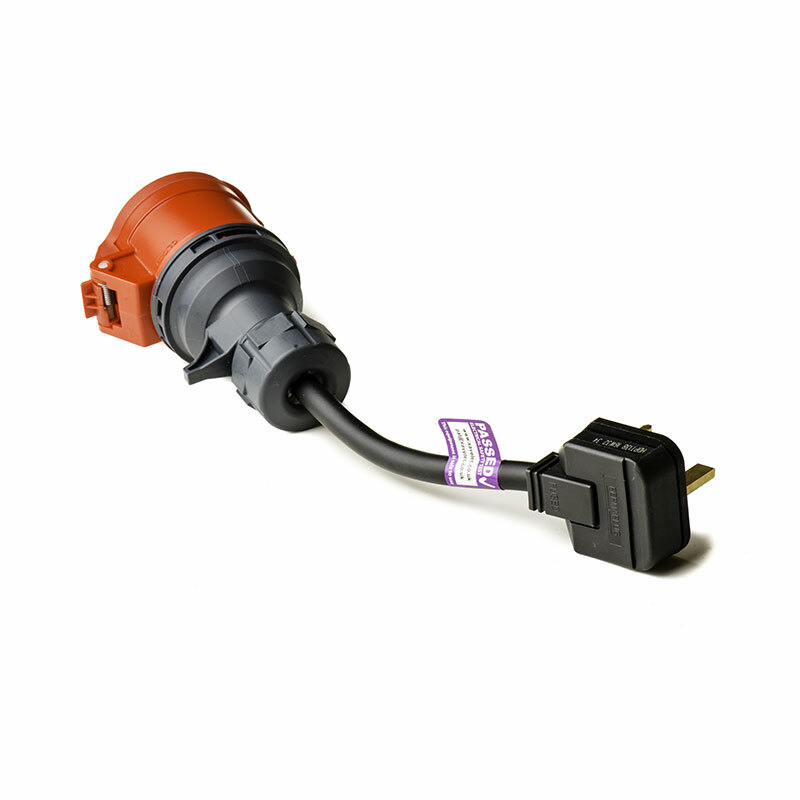 Standard 13A UK plug for use with the Standard range 16A, 3-phase extension lead. 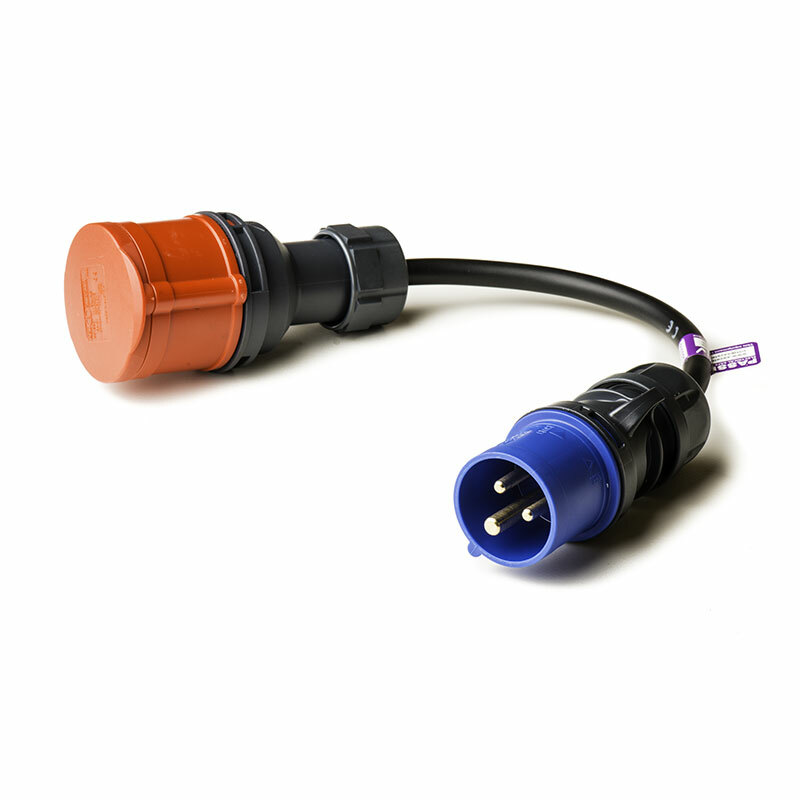 This adaptor also works better with Polar charging points whereas the Tesla UMC adaptor is a tight fit. 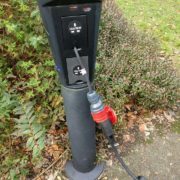 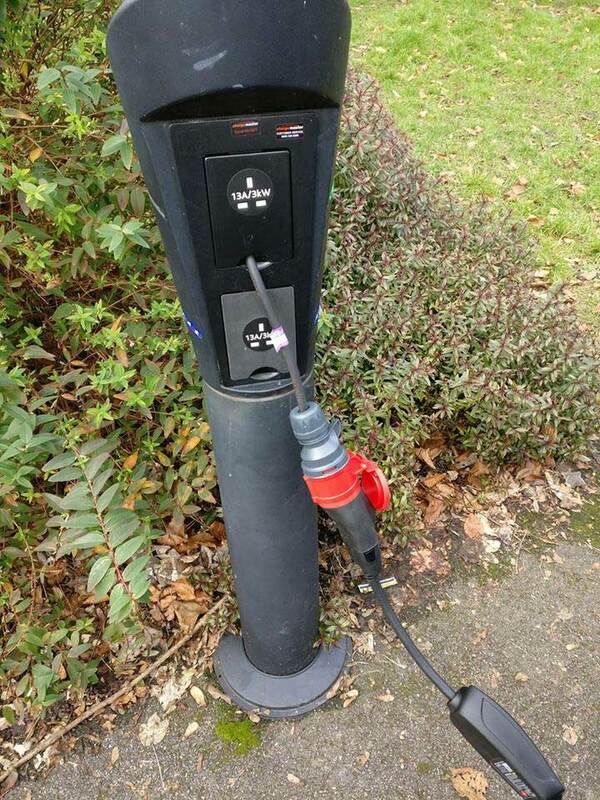 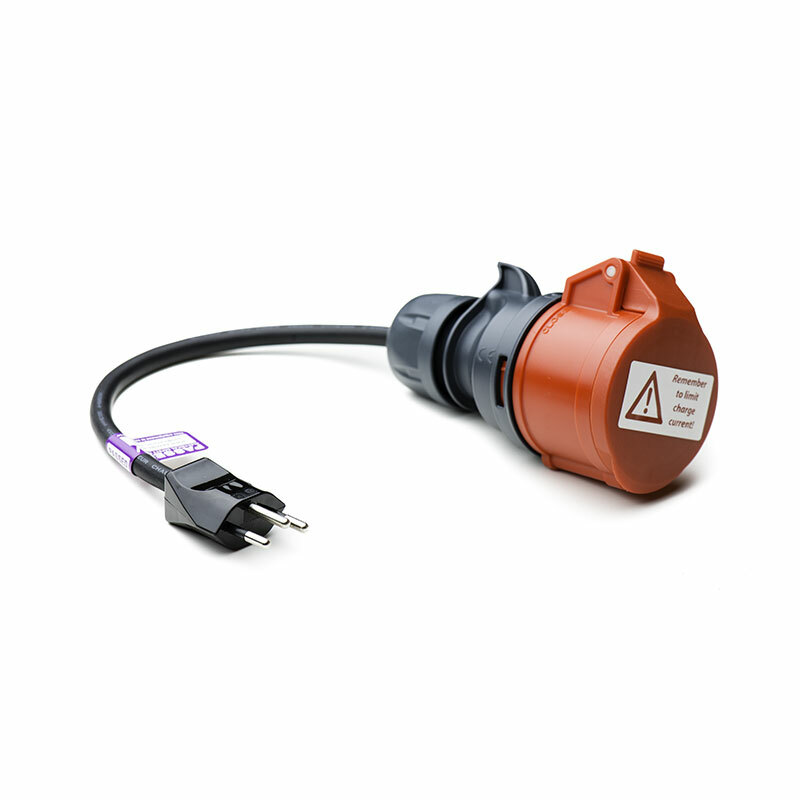 Please note: This adaptor will allow you to charge faster than the Tesla-supplied UK plug adaptor which limits to 10 amps, but please remember to dial down the charging current on the charge screen to a suitable level to prevent blowing the 13A fuse in the plug. 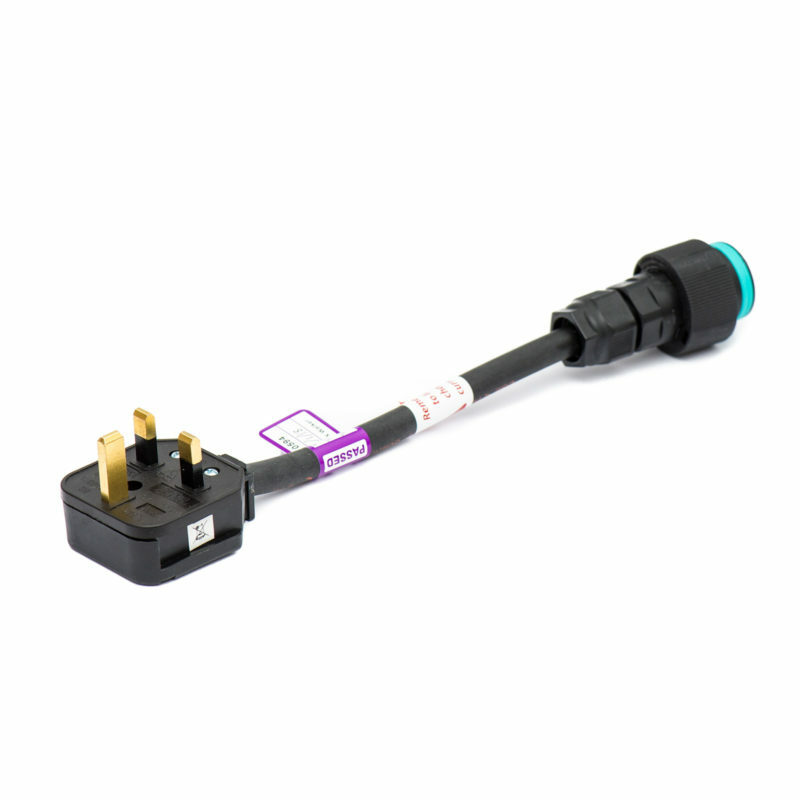 Also, some properties’ electrical wiring may not be suitable for a sustained current draw of more than 10A – if you wish to use the adaptor at home and are unsure, it is highly recommended to take advice from a qualified electrician or reduce the charge current to 10A.